F.H. Griffin was the headwaiter at the Sagamore Hotel on Lake George. The history of the Adirondacks, as it’s usually presented, is blindingly white. Nearly all of our stories—logging, tourism, the Saranac Lake TB nexus, you name it—have familiar iterations, and they seem to involve only white people. Reading, or hearing, these often-repeated narratives, you might wonder if an African-American ever crossed the Blue Line. Sally Svenson asked herself that very question and set off on a quest through a mountain of primary materials—census and church records, every New York newspaper she could find, a few rare diaries, and a host of other obscure but essential sources—and has produced an invaluable corrective to facile and unexamined assumptions. Svenson’s goal is to shed light on this relatively unmapped corner of Adirondack history. In this she succeeds admirably. The tale is often not a pretty one, but in the future no one will be able to talk or write about Adirondack social history without consulting this encyclopedic book. The book opens with a brisk summary of the early African-American presence in New York and the North Country. A few hundred slaves lived in northern New York in the eighteenth century. This population was gradually freed, and slavery was abolished throughout the state as of 1827. The most famous Adirondack African-American of the early period was undoubtedly Solomon Northup, born—free—in Minerva in 1808. Kidnapped and sold into slavery in 1841, he scraped his way to recovered freedom in 1853 and was the subject of a popular movie, 12 Years a Slave, released in 2013. Svenson then moves to the story of Gerrit Smith, a wealthy (white) philanthropist and fervent abolitionist who deployed his vast wealth and landholdings in an effort to settle black families in Essex and Franklin counties, beginning in the 1840s. This was all part of a widely shared faith in agriculture as the best route to full citizenship for both escaped slaves and free blacks. In addition to the difficulty of cultivating Adirondack land, these settlers also encountered considerable white opposition. The most successful resident of this experiment was Lyman Epps, who lived in North Elba for nearly fifty years, achieving local prominence and respect. Better known is the fiery, radical abolitionist John Brown, who was attracted by Gerrit Smith’s project and began farming in North Elba in 1849, ten years before his explosive attempt to stir violent insurrection and his subsequent execution in Harpers Ferry, Virginia. Other Smith-supported or -inspired farming settlements sprung up in various corners of Essex and Franklin counties, including colonies in Vermontville and one known as Blackville in what is the modern hamlet of Loon Lake. Svenson has pored through census and other records, locating dozens of black families that lived in these counties, all part of Gerrit Smith’s experiment. Her findings are a genealogical gold mine. Many third- and fourth-generation descendants of these settlers eventually settled in Saranac Lake, where in the early twentieth century they became well-established citizens. 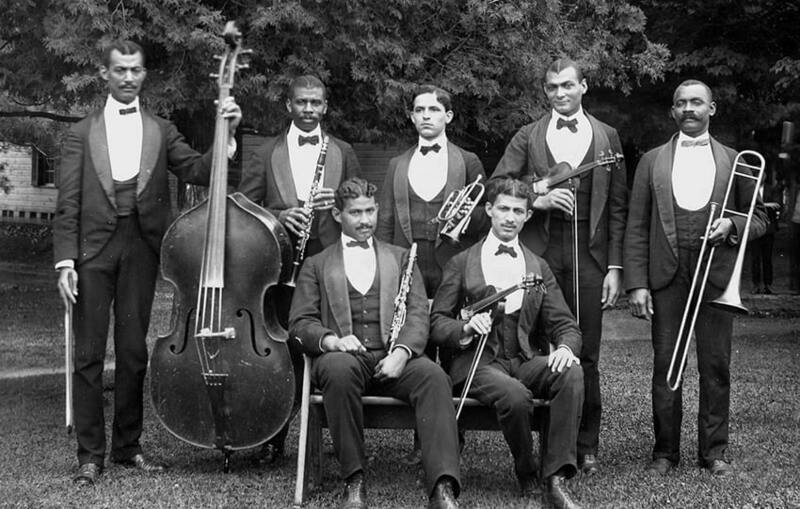 African-Americans often played in hotel bands. After a quick chapter on blacks from the North Country who served in the Union army in the Civil War, Svenson recounts the settlement of former slaves and others from the South during and after the war. These were often encouraged by whites who helped them leave the South, or they made their way north on their own. Some had worked for or served in the Union army. What did they do here? Blacks in the Adirondacks were largely (but not entirely) excluded from the major occupations of Adirondack whites: farming, guiding, logging, and mining. The vast majority were in domestic service: cooks, drivers, nannies, maids, housekeepers. Many of these jobs were seasonal—just as were many of the jobs held by whites as the Adirondack economy became increasingly dominated by tourism. 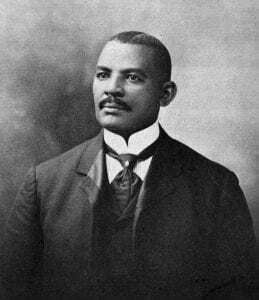 A significant in-migration of black laborers occurred in 1891 for construction of Dr. W. S. Webb’s Adirondack and St. Lawrence Railroad connecting Herkimer to Malone. This involved brutally hard work, and black workers were recruited—often with shameless lies about the weather, nature of the labor, and pay—from Alabama, Tennessee, and North Carolina. Many deserted, and newspapers began covering a story of abuse, virtual slavery, arbitrarily withheld wages, and violence. The whole affair was eventually investigated by the state, but state agents were bribed, and the horrible reality was covered up. When the line was completed in record time, Webb was admired for his vision and leadership, but Svenson shows that it was built by viciously exploited and abused black labor. Many blacks worked at the great hotels, like the Fort William Henry and Sagamore on Lake George, as maids, waiters, and bellboys. A significant portion of these were in fact college students or even graduates, from recently established black colleges in the South, with some working at northern resort hotels in the summer and then at equally opulent southern hotels during the winter. Frank P. Thompson, for example, was the headwaiter at the Hotel Champlain from 1890 to 1903. In the winter he occupied the same position at Henry Flagler’s palatial Ponce de Leon Hotel in St. Augustine. Most hotel workers had a “transitory and segregated” experience in the Adirondacks; it was also intensely regulated and supervised. By the early twentieth century, as racial attitudes in the North further soured and as the age of the great hotel came to a close, Adirondack hotels began employing fewer blacks. By 1925, there were very few left. At these hotels, African-American college students provided a wide variety of entertainments to the white patrons: instrumental music, singing, minstrel shows (which meant black performers in blackface, an experience that must have been soul-crushingly painful), and plays. Much of this was a function of fund raising for the colleges these students attended during the rest of the year: in 1901, for example, a choral singing group from Hampton Institute toured several Adirondack hotels and earned over $1,400 to take back to their college. Other black colleges on this circuit included Shaw University, Tuskegee Institute, and Wilberforce University. Itinerant African-American performers also staged shows at the hotels: minstrelsy, vaudeville, opera, and classical music. Josiah Hasbrouck Jr. was a Civil War veteran. COURTESY OF JONES LIBRARY INC., AMHERST, MA. Contrary to what many have probably assumed, African-Americans were part of the story of the TB industry around Saranac Lake. They came as patients (not welcome at the Trudeau Institute, nor were black doctors) and found beds at smaller cure cottages. Eventually, in the 1920s, cure cottages catering directly to blacks opened. A small African-American community evolved in Saranac Lake, where blacks worked as common laborers, teamsters, and domestic servants and lived in segregated neighborhoods. One of Svenson’s most interesting chapters involves African-American miners in Moriah. In the early twentieth century, along with workers from eastern and southern Europe, blacks were recruited to work in Essex County mines, initially as strikebreakers at the Witherbee, Sherman mine near Port Henry. 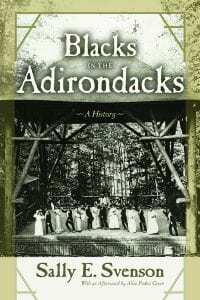 By the 1940s African-Americans in Moriah made up the largest black population in the Adirondack Park. Moriah was a rough town, for all races, with slum-like housing, violent crime, and rampant alcohol abuse. With this book, Sally Svenson does exactly that: she reveals a previously little known history, all in the cause of promoting the “diversity and inclusion” that we must achieve if our Park is to thrive in the twenty-first century.